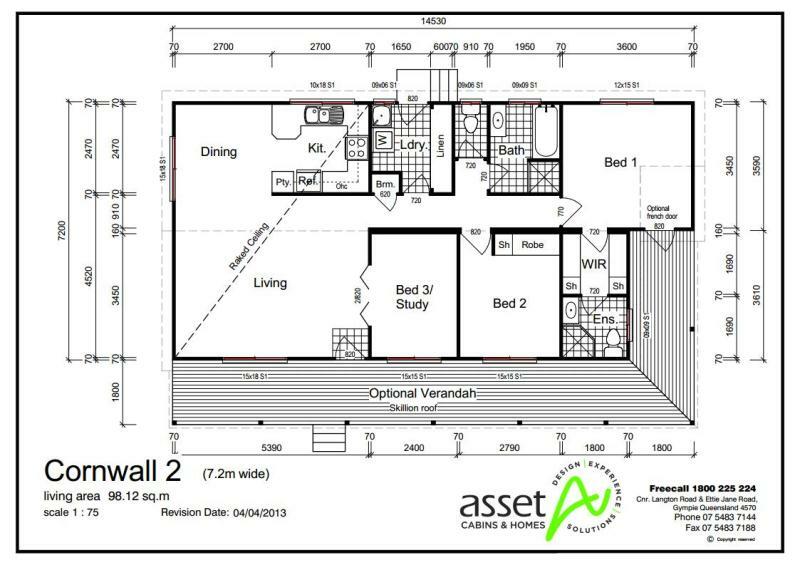 At 98m2, Cornwall 2 is Asset’s biggest premium relocatable home! A variation of Cornwall 1, it features a walk-in wardrobe, ensuite bathroom, separate second toilet and a partial homestead-style verandah. Like its namesake, Cornwall 2’s extra-large living room gives a hearty welcome to residents and visitors alike. Continuing along under the raked ceiling is an open-plan dining room and partially open kitchen featuring a pantry and double sink. Bedrooms, bathroom, toilet and laundry branch off the central hallway. The master bedroom has a walk-in wardrobe that leads to an ensuite with a damond shower, and the second bedroom has a built-in wardrobe. The third bedroom, off the living room, would also make a convenient study. The bathroom has a shower and bath, while the laundry also functions as a side entrance. 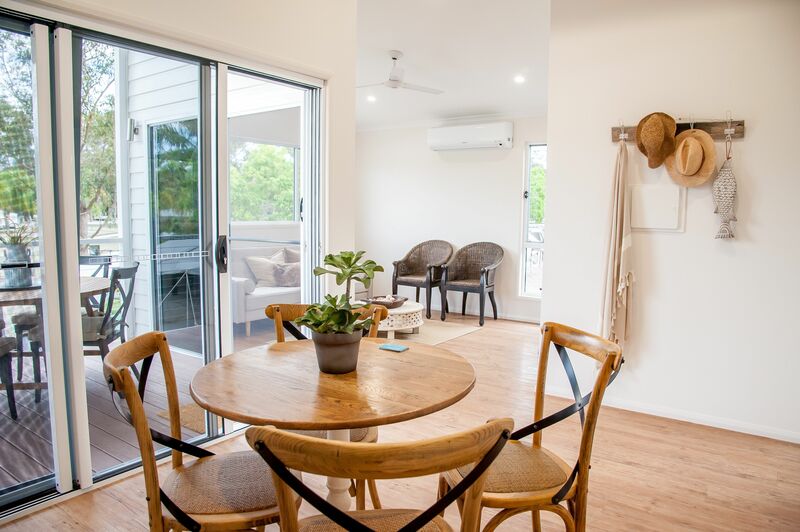 Optional extras include a homestead-style verandah and French door to the master bedroom to make this substantial home even more desirable!